His own heart, who can know? We expect and brace for attacks from without, but what about the problems we face from within? Devotion to God’s word puts us at cross purposes with the world around us, but the struggle for devotion also comes from within. The heart is fickle and easily divided. Our passions and resolutions are easily diluted by lesser pursuits. 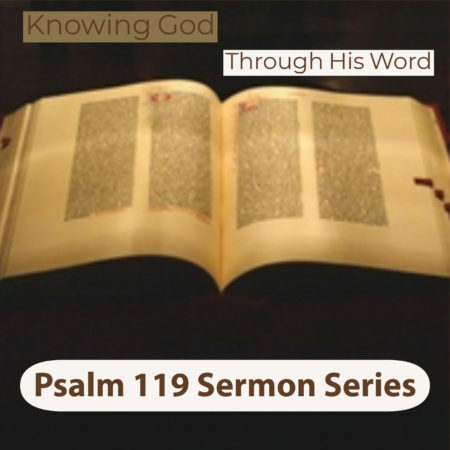 The fifth stanza of Psalm 119 focuses on the internal struggles of the writer and teaches us to look at God’s word for the renewing change we need to see the glory of Jesus Christ in Scripture.